One basic creative concept taught in the first level of art classes in most colleges is chiaroscuro. Chiaroscuro in photography and art simply means the intermixing of lights and darks that forms contrasts between the two to help create the illusion of depth and volume in a dimension that helps establish form. When you use chiaroscuro in photography, it can be subtle like in this image, or more dramatic. I’ve often written about this artist’s technique as a method to create the illusion of depth in photography and to truly understand it you must first appreciate its use by accomplished great painters like Leonardo da Vinci and Raffaello Sanzio da Urbino, the latter known in the art world as Raphael. It’s also important to note that chiaroscuro in photography emphasizes form in photography. Photography, just like a painter’s canvas, isn’t a three-dimensional medium but the use of chiaroscuro helps create the illusion of depth, or a third dimension feel. An important compositional element in photography, chiaroscuro helps create great a photograph vs. a mediocre picture. Here is a more dramatic example of chiaroscuro in photography created with only one light. Anyone can take pictures, especially mediocre ones, though less photographers can create true photographs, and few photographers can create masterpieces. Those that created masterpieces, especially through the use of chiaroscuro in photography, include the likes of Ansel Adams, Henri Cartier-Bresson, and Yousuf Karsh amongst others who understood the power of chiaroscuro in photography. In art, the use of chiaroscuro helps create contrasts between lights and darks, shadows and highlights. But basically, chiaroscuro creates volume in an image through these contrasts. One of the chiaroscuros origins comes from the Renaissance period of painting and drawing as artists would use the paper’s base tone with white guache, a type of opaque paint, and makes their darks with ink. The most famous use of chiaroscuro in cinematography was by what Time(2005) magazine considered one of the greatest films ever made, Barry Lyndon, by Stanley Kubrick. Kubrick was able to secure three 50mm lenses made by Carl Zeiss originally for NASA’s use for the Apollo lunar landings. These lenses had the largest aperture available at the time, with a maximum aperture of f/0.7 and are now a part of photographic history. Carl Zeiss made only ten of these lenses, known as the Carl Zeiss Planar 50mm to “capture the far side of the moon” in 1966. Zeiss kept one lens plus sold six to NASA and three to Kubrick. These lenses allowed Kubrick not only to focus on chiaroscuro, but he shot many scenes of the movie with only candlelight. Kubrick proved the power of chiaroscuro along with Dutch painter RembrandtHarmenszoon van Rijn, a master of what is now taught in photography as one of the four patterns of lighting, Rembrandt Lighting. The other three patterns of lighting recognized by major photography schools are Paramount, Split, and Loop lighting and all rely on chiaroscuro in photography in some form or another. 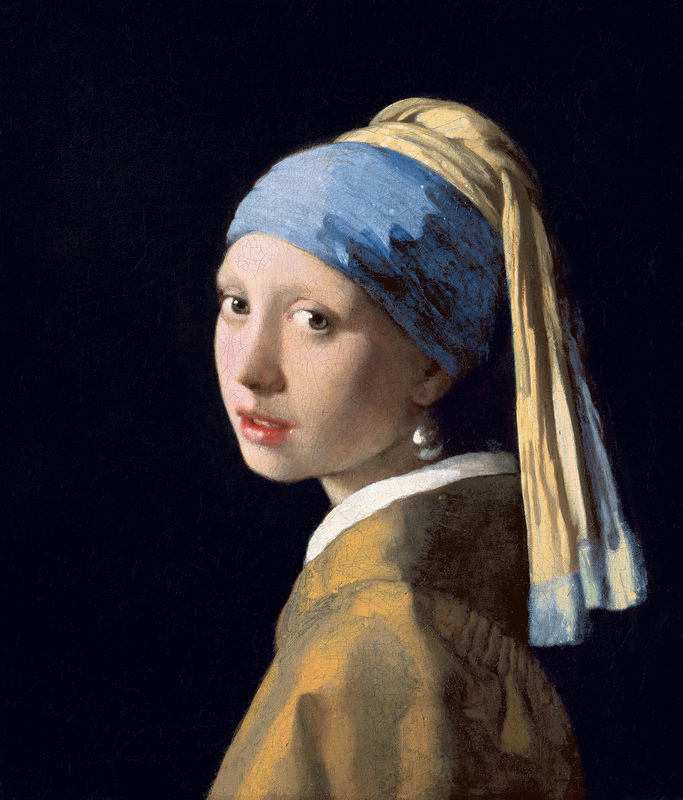 This image of the original painting, “Girl with a Pearl Earring,” is in the public domain in the United States because it was published (or registered with the U.S. Copyright Office) before January 1, 1924 and this work is in the public domain in its country of origin and other countries and areas where the copyright term is the author’s life plus 100 years or less. Paramount lighting, made famous by Paramount Studios, is also known as butterfly lightingand became popular in the 1930s. Though often confused as two other patterns of lighting “Broad and Short” they are not, they are actually a style of lighting and exact opposites of each other. The four traditional patterns of light all rely on chiaroscuro in photography. Whether you’re a painter, photographer, cinematographer or similar artist, chiaroscuro is an important element in composition and the greats have mastered it. Probably the most famous proof of chiaroscuro and its strength started with a painter then evolved into a best-selling fiction story and finally on to a movie titled, Girl with a Pearl Earring. I encourage every photographer to watch this movie and to draw inspiration from this film. The film is based on the original painting by Dutch painter Johannes Vermeer. The painting was created in 1665, then the story behind it went on to become a best-selling historical novel in 1999, selling over three million copies before it became a movie in 2003. So, if your plans call for taking art in college, chances are your first basic course will cover not only the great painters mentioned here but also the importance of chiaroscuro in art. If you have the passion to create great photos as a photographer, it’s critical you understand the importance of chiaroscuro in photography especially when it comes to the creation of your own photos.